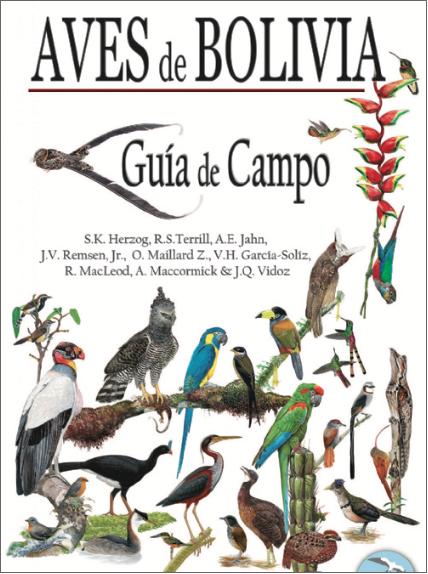 After 11 years of work the book Aves de Bolivia [Birds of Bolivia] is presented, an achievement that fills a scientific vacuum in this field, which promotes conservation and ornithological tourism in the country. Bolivia is the fifth country with the most bird species in America. 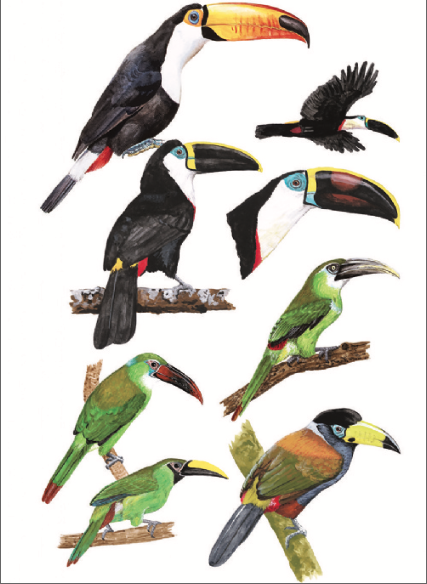 From the most common and non-endemic like pigeons that inhabit Bolivian cities to the Condor are included in an illustrated guide, the result of 11 years of research. It contains scientific information and interest for ornithological tourism, a worldwide trend. The Aves de Bolivia guide, to be presented today [04/27/2017] at the Auditorium of the Latin American Development Bank-CAF in La Paz, was articulated by a group of academics, researchers, ornithologists and artists from nine countries gathered by the Asociación Civil Armonía [Harmony Civil Association]. Sebastian Herzog, a biologist and scientific director of the Harmony Association, says the research also included the accumulation of data that amounts to about one hundred years of work. “I started in 1994, we already had a database with bird records in different parts of Bolivia in the Harmony Association … With the guide we have a synthesis of the knowledge on the subject, but we also identify the gaps in knowledge In areas where it is necessary to work in the future,” he explains. The publication contains the characteristics of birds such as: size, behavior, habitat, distribution maps, presence by eco regions, neighboring countries in which they are found, common name and scientific, among others. 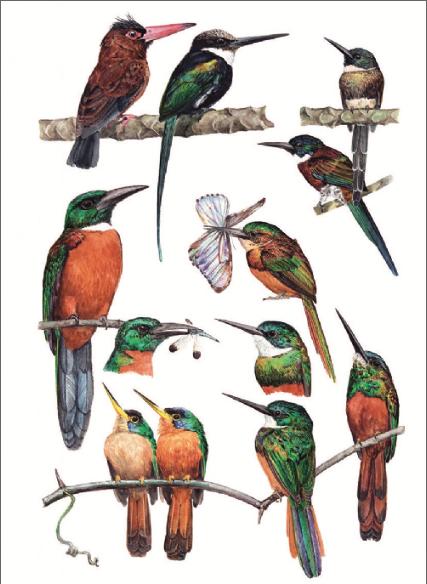 For the preparation of the material, previous publications were also reviewed and trips were made to natural history museums outside the country to review specimens of Bolivian birds. Bolivia is the sixth country in the world with more species of birds and the first among the Mediterranean countries. This is due in part to the Amazon, Andes, Chaco and Savannah within its territory. A sample of this is that in the country there are 13 species of parabas, two of them are endemic. Knowing the natural heritage and biodiversity of a country is the basis to understand and protect its contribution to the well being of the planet and of the human being, according to Herzog. This makes the guide a complementary base for students in biology, ecology and other related fields. The Aves de Bolivia guide was supported by the Swiss Cooperation through the Bioculture and Climate Change Project as well as other instances of cooperation to achieve its funding. Ornithological tourism and birdwatching in English, is an activity that European and North American countries mobilize millions of people. “In these countries, instead of preparing a barbecue or going to the pool, these people go out to see birds. They have binoculars, tape recorders and telescopes, it is a hobby with many fans,” emphasizes Herzog. The fans incorporate the records that they obtain in different portals of citizen science in Internet. They also learn about the countries that can visit for ornithological tourism. For this practice is necessary to have a guide that details regions, species and habits of birds. This activity is a tool for sustainable development in localities or communities that are generally not considered a tourist attraction. 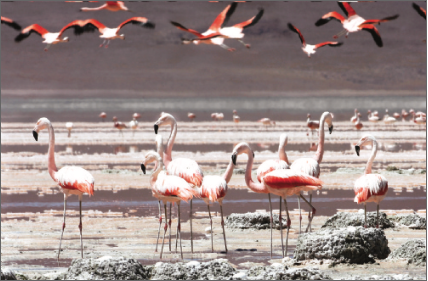 Currently, a two-week tour focusing on bird-watching in Bolivia costs between $3,000 and $5,000, according to data from the scientific director of the Harmony Association, so the guide is much more than a scientific material, it is a tool for Promote sustainable development in different regions of the country. Of the 1,435 species in Bolivia, 35 are in danger of extinction, as specified in the guide. Among them are two blue beard parabas, living in the plains of Moxos (Beni) and the red front, which inhabits the mesothermic valleys of Santa Cruz, Cochabamba and Potosí. Both are threatened because being beautiful species are victims of trafficking. A decade ago a specimen of Bluebeard was worth about $10,000 in the international market. What is not known is that for each one who manages to survive in the process, nine die. For other endangered species the main threat is the loss of their natural habitat, a consequence of human practices such as expanding urban areas, opening roads, among others. That is the case of the diver of Lake Titicaca, a species that can not fly and dives to look for fish, but when doing so many times that it gets caught in the fishermen’s nets. “This is compounded by the increasing pollution of the lake, mining, boiling water, rubbish, among others that have caused this species to be increasingly threatened,” explains Herzog. 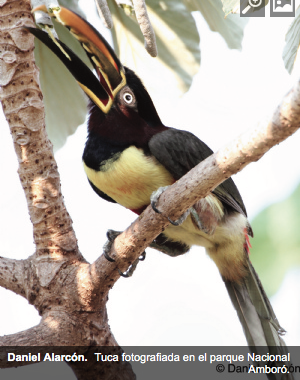 One important aspect is that birds are good indicators of the quality of natural habitats. For the biologist, it is a question of making the threatened species visible so that actions can be taken to ensure their conservation and, above all, the ecosystems they inhabit. “Walking on paths, seeing and hearing the beauty of bird species to reconnect with nature is something invaluable and real not virtual like the screen of the cell,” concludes Herzog. 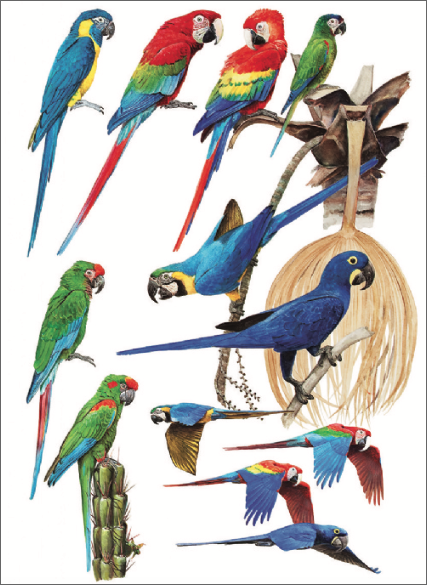 Two languages: The Birds Guide has 1,300 copies in English and 1,200 in Spanish. The point of sale in La Paz is Prorural, Las Dos Torres building, 12th floor, 6 de Agosto Avenue. Cost: The cost of the guide is Bs.350. With the proceedings, workshops for ecotourism guides will be made. More information on the Facebook page: Civil Action Harmony. Alejandra Pau’s reports don’t cease to impress me, she really knows how to pick important issues like this one. This entry was posted in Beni, Bolivia, Cochabamba, Environment, La Paz, Potosi, Santa Cruz, Tourism and tagged bird species, Chuquisaca, environmental awareness, National Parks, Oruro, Pando, Tarija, wildlife. Bookmark the permalink.